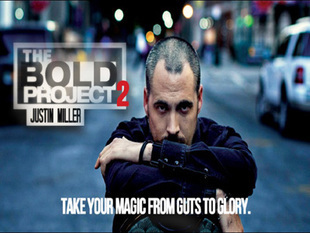 In Bold Volume 2, Justin Miller prepares you to be FEARLESS in your magic. He gives you his personal guarantee that by the end of this DVD you&rsquo;ll be a better, STRONGER performer. Absolute GEMS vital to learning how to perform to anyone in any situation. This is raw, compelling magic proven over hundreds of live performances. Packed with 9 effects that will teach you lessons that can apply to all your performances - effects that will give you the confidence to get away with anything.